This article contains spoilers for The 100, The Walking Dead and probably a dozen other shows and movies. Really, if I mention a show or movie, assume I’m spoiling it. On March 3rd the CW sci-fi show The 100 aired the 7th episode of its 3rd season. 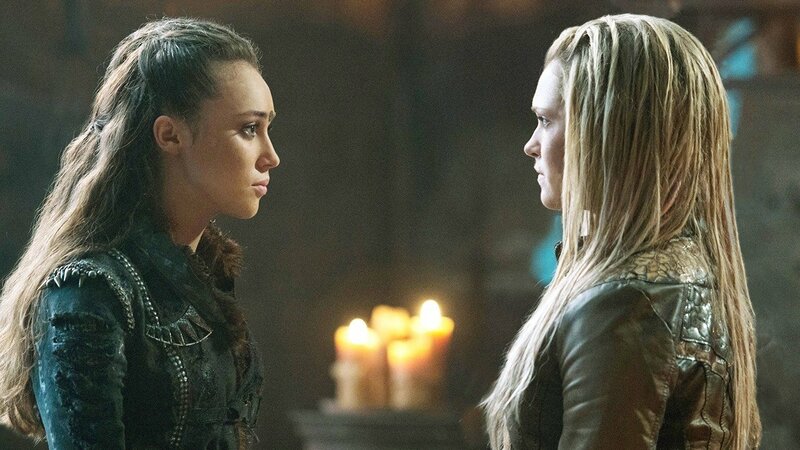 This season thus far had focused heavily on the evolving nature of the relationship between its lead character Clarke (Eliza Taylor) and recurring character Commander Lexa (Alycia Debnam-Carey), and the gradual shift towards their relationship becoming romantic (Lexa, for the record, had made her romantic interest in Clarke clear in the second season). Towards the end of this episode, Lexa and Clarke finally make the full shift from allies to lovers. Directly after (seriously, like the next scene) one of Lexa’s advisers who has disapproved of Clarke’s presence tries to assassinate Clarke, but winds up accidentally shooting Lexa, killing her. And people were, understandably, pissed. The backlash from fans is still, as of this writing, ongoing.The show is rapidly jettisoning fans, and showrunner Jason Rothenberg, who recently published a statement on the episode, faced a backlash on Twitter. Fans of the character also raised tens of thousands of dollars for The Trevor Project. Why is everyone so angry about this death? After all, it’s not like random or violent character death is a strange thing on The 100. A lot of people, up to and including Jason Rothenberg, don’t seem to understand why this death got so many people so angry. Therefore, this article is less about Lexa specifically and more about the long and extremely frustrating history of LGBTQIA characters dying. To understand why this got people angry, you have to understand that this—gay and lesbian characters dying in fiction more than they live—is not a new thing. NOTE: I’m mostly going to be talking about film here. I’ll mention other media, such as theater or books, but my (dubious) expertise is in film, so that’s where most of my focus will be. This article will also, with a few exceptions, primarily focus on the deaths of gay and lesbian characters—not because other identities on the LGBTQIA spectrum are treated any better than gay and lesbian characters are, but because they’ve historically been given so little representation in mainstream media that there aren’t as many examples available to discuss. The modern genesis for LGBTQIA characters dying comes from a simple, if reprehensible, equation that was extremely common in fiction from the 30s onward: LGBTQIA characters were immoral by the dint of their being LGBTQIA and thus couldn’t be shown to be happy in their supposed immorality. It was a very awkward time for media, with things like the Hays Code or the Comics Code Authority forbidding the depiction of everything from mixed-race relationships (no, really) to too lustful kissing (no, really). As such, the only way to depict things that the relevant codes determined to be immoral was to show the so-called immoral people explicitly being punished for their immorality, and the common way for that was to have them be killed. This became a trend that burned itself in the cultural unconscious: queer characters get killed. The second major way LGBTQIA characters dying became a trend comes from a difficult to address concept: Coding. A character is coded something when they have traits typically associated with a group but is never stated to be a member of that group. There are variety of reasons for this, from the group not existing in the universe (the Tallarn from Warhammer 40k can’t actually be Middle Eastern, since they come from a distant planet, but they’re sure as hell coded Middle Eastern) to not wanting to state that someone is part of the group (Marceline and Bubblegum from Adventure Time are coded gay, but because the show airs in parts of the world where homosexuality is still considered negative, they can’t go beyond that). This is important because gay coding became a cheap and easy way to make a villain, or even just a character, seem more creepy or weird to the audiences in the 30s, 40s and 50s. Look at Peter Lorre’s character in the 1941 classic The Maltese Falcon, or Claire Bloom’s in The Haunting. The latter is actually an exceptionally important example, because the lead character’s disgust at being around Claire Bloom’s character is actual explicit text, and a fairly major plot point to boot. Queer coding villains became another way for queer, or at least gay coded, characters to die on screen, or just to reaffirm their status as other. And like gay characters dying, queer coding villains is a trend that persists to this day. But from common roots, the recurring trend of queer characters dying evolved into two separate trends, one more or less specific to gay men, the other mostly specific to lesbians. 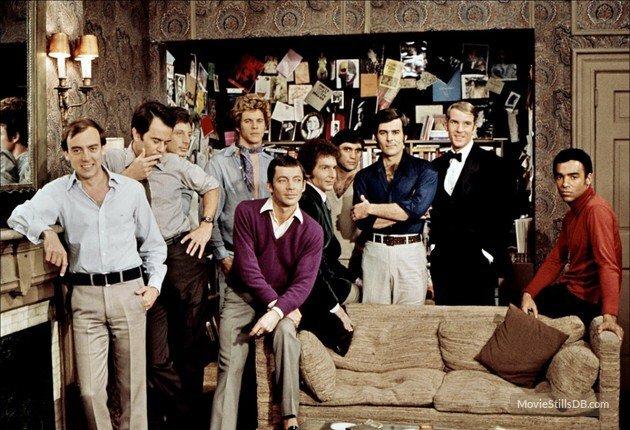 Gay issues didn’t begin to work their way into mainstream pop culture until the 70s, when stuff like The Boys in the Band and La Cage aux Folles began coming out. And if you know anything about the history of LGBTQIA issues, you’ll know that right around that moment in history is when AIDS hit, and the way that shaped queer focused media going forward cannot be overstated. While the culture at large tried desperately to avoid thinking about AIDS until it became completely untenable to do so (the major turning point is usually considered Rock Hudson’s death in 1985), the gay community could, understandably, think of little else, and that was reflected in the media they put out. Ronald Reagan famously failed to even mention AIDS in a speech until 1987, but the first AIDS-focused film (Parting Glances) was shot in 1984, and released 86. Over time, the (again, understandable) focus on AIDS in gay media began to influence more mainstream film, and by the time the mid-90s had rolled around, the most common way for a straight filmmaker to express sympathy with the LGBTQIA community was to make a film devoted to AIDS. This unfortunately had the net result of turning AIDS into something of a gay specific version of Ali Macgraw’s disease, in which the struggle of gay men in America was highlighted by them having to also struggle with AIDS. As the depiction of AIDS in media evolved, despite the fact that AIDS was a disease that affected people of all genders and sexualities, it always seemed to be the LGBT characters who died from it—if not a gay man, then a character representative of another marginalized identity. In one of the most famous examples, RENT, Angel dies of AIDS at the halfway mark, despite being in a relatively stable situation and receiving medical care, while Mimi, who has been strung out on heroin and living on the streets for god knows how long, is revived via the power of song. And once again, this is not an isolated or disappearing trend: In Dallas Buyer’s Club Mathew McConaughey’s straight man lead character lives to see the end credits, while Jared Leto’s trans woman dies halfway through. All of this eventually morphed into the broader cultural trend we see today, which is an endless parade of media about how queer people suffer nobly against a world that is opposed to them. It doesn’t matter if they die to violence (Boys Don’t Cry), disease (the recently released Freeheld) or AIDS (throw a dart, you’ll hit one), the number of films about queer people suffering and dying so far outnumbers all other kinds of media about them that it’s absurd. This contributes to the overall issue, because the media you consume does alter your world view in some specific ways. When all you see is queer relationships ending tragically, you can begin to see queer relationships as intrinsically doomed. This influences creators, who wind up seeing killing queer characters as a natural thing, and is obviously harmful to queer people, for a variety of reasons. Until people begin to make a conscious decision to reverse this trend, to tell fewer stories about queer characters dying and more about queer relationships having the same ups and downs as any other relationship, it’s not going to reverse itself. The history of lesbians dying in media is a lot more complicated. And while the recurring death trope for gay men did at least spin out of a desire to show the struggle of queer people in a sympathetic light, it’s extremely important to note that the history of lesbians dying in media has its roots in misogyny. To start we need a pair of facts that are fundamentally undeniable. First is the fact that straight cis men (especially straight white cis men) have been, and continue to be, the leading force in what culture creates. And the second thing is that straight men have been fetishizing women in sexual relationships with other women since long before it was socially acceptable for women to actually be in those sexual relationships. Straight men’s fetishization of lesbian relationships is still a major cultural force. Just look at Pornhub’s recent release of its most common search terms by state, and what a huge percentage of them are just “Lesbian”. That’s a HUGE issue all on its own, with broad reaching and negative impact on real life lesbian relationships and culture. 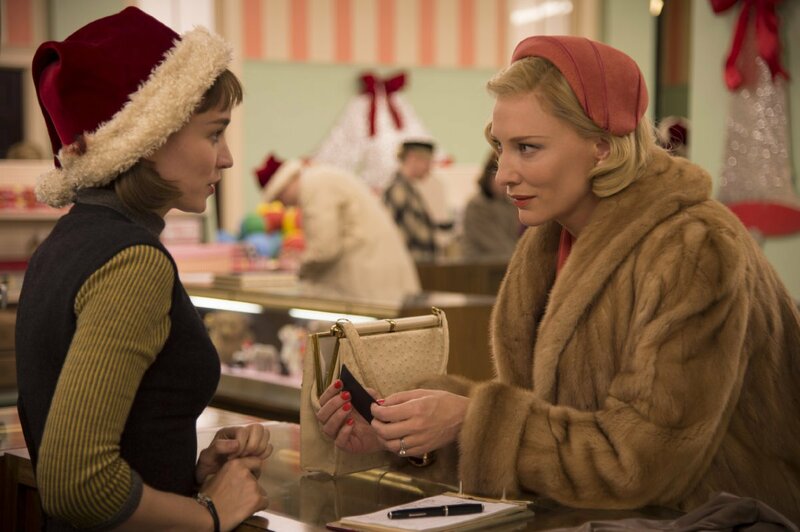 Historically, this desire for lesbian content has far outweighed the cultural taboo at depicting said content, and a cottage industry of pulp lesbian novels sprang up in the 40s and 50s. Like most pulpy media, this cottage industry has recurring tropes and cliches, and one of the most regular (and important, to our final point) is that the story could never end happily for the lesbian couple. One of the most common ways for a relationship to end in these novels was for one of the two women to die and the other to return to a straight relationship. Another common ending would be for one of the women to go insane (homosexuality was still seen as a mental illness at the time). Exceptions existed, such as Patricia Highsmith’s The Price of Salt (later adapted for the 2015 movie Carol), but they were rare. Like most cultural trends, this morphed and mutated and led to the situation we find ourselves in today, in which the most common end for a lesbian or bisexual female character in a TV show is dying. Despite the fact that queer relationships are both legal and growing more and more accepted, the trend of lesbians dying in media never slowed down. If anything, it’s going stronger than ever. In fact, between the time when I began researching this article and finished writing it, it happened again, with Denise on The Walking Dead dying. In a way disconcertingly similar to the way Lexa died. And, while we’re on the subject, the way Tara on Buffy the Vampire Slayer died. These deaths keep happening. The fact that Autostraddle has at this point accumulated a list of 148 bisexual and lesbian characters who were killed off on TV compared to 29 who got happy endings is very telling, and indicates that the ongoing popularity of this trope is about more than just perpetuating a preexisting trend in fiction. The fact that lesbian characters are rarely, if ever, lead characters outside of media specifically devoted to lesbianism (which is another huge issue in and of itself) and thus can be disposed of more easily definitely contributes. So too does the (hopefully subconscious) belief among men that relationships that lack men are inherently less worthy. 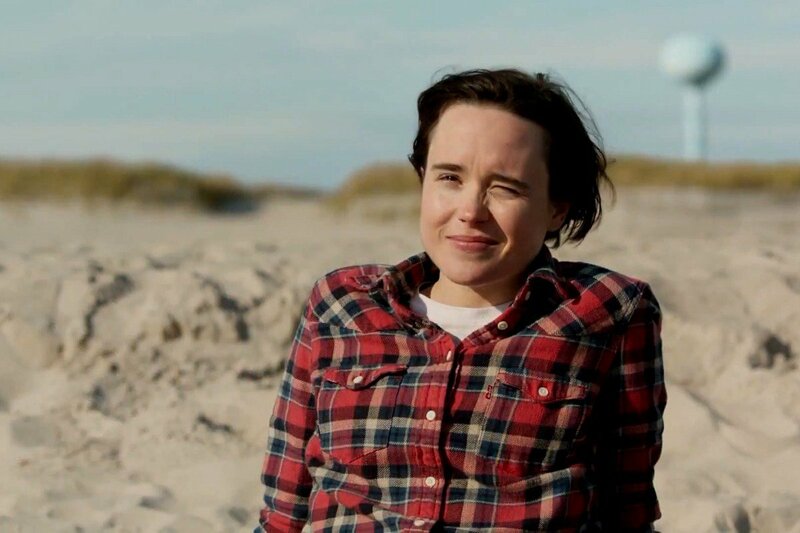 There’s also the belief among media creators that straight men are interested in seeing lesbians together sexually, but aren’t interested in seeing lesbian relationships, or even more frustratingly, that straight men are interested in seeing lesbian interactions, but want those women to still be sexually available to them at the end of the story. All of these trends combine to form a media world that can be toxic and exhausting. When all you can ever find of lesbian characters in mainstream media is women getting shot randomly (apparently usually by bullets and bows that weren’t even meant for them), when all you can find of gay men are noble men dying slowly of AIDS, when all you can find of bisexuals and trans folk is…well barely anything, it becomes exhausting. When a straight character I like dies, I can go back onto Netflix and find 30 more shows about straight people. When a lesbian character I like dies, my only real option is to grumble and rewatch Bound. As a creator it’s very easy to pretend that your works are not part of a trend. It’s tempting, especially if you’re not part of a marginalized group, to put blinders on and focus entirely on your work. Your work isn’t political, you tell yourself, and your creative decision is just that, a decision that serves your creative work. And that is, of course, your right. No one is saying that an artist shouldn’t be allowed to kill a gay or lesbian character. I want to make that clear, since whenever any piece of media is criticized at any time for any reason, the immediate response from someone on the internet is to call it censorship. What I’m saying is that pretending your work exists outside of trends or political context is disingenuous. Even created with the best of intentions, no piece of art exists in a vacuum. Everything is influenced by the context it is both created in and consumed in, which is why every piece of media is unavoidably political. And every piece of media, no matter how well-intentioned, is going to be part of a trend. The problem is less in Lexa’s specific death, or Tara’s, or Denise’s, or any of the countless others. The problem is that all of those deaths, and more, are just another check in a very, very long tally; a tally that has been building since before most of us were even born. James is a Connecticut-based, Alaskan-born cinephile with an obsession with The Room and a god complex. His interests include Warhammer 40k, the films of Nicolas Cage (both good and bad), and obscure moments in history. He writes movie reviews for Moar Powah under the name Elessar and also has a blog, where is reviewing every episode of The X-Files at I Want to Review. His twitter can be found at Elessar42, and his tumblr can be found at FootballInTuxedos.